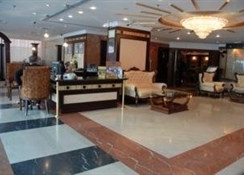 This hotel is located near Al Rigga Street in Deira- about 3 km from the city centre. 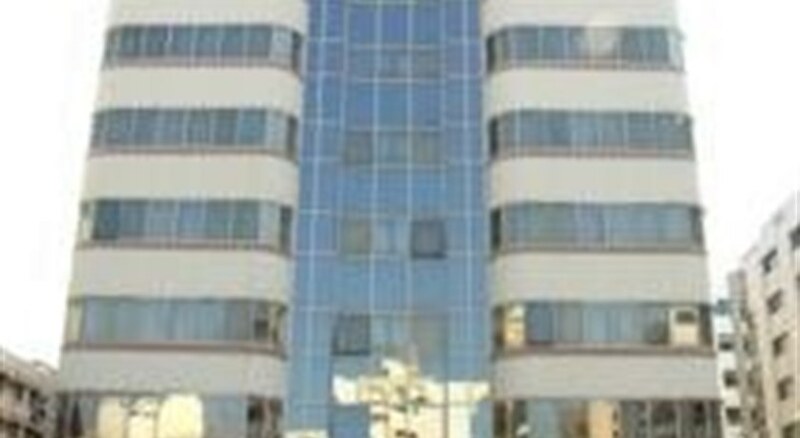 Guests will reach Al Ghurair Retail City on foot easily- it is about a 10-minute drive to the international airport- while the Dubai International Convention and Exhibition Centre can be reached in approximately 15 minutes.Established in 2001- this air-conditioned business hotel includes a total of 84 rooms. Facilities on offer include a hotel safe- a currency exchange facility- lift access- a café- a bar- a restaurant- a nightclub- and conference facilities. Laundry and room services also feature- and a car park is available for those arriving by car.All rooms come with a hairdryer- a TV- a minibar- an iron and ironing board- a hire safe- and centrally regulated air conditioning as standard.Leisure facilities include an indoor swimming pool and a Jacuzzi.Drive time from Dubai International Airport is approximately 10 min. 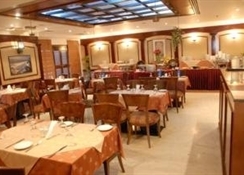 Established in 2001, this air-conditioned business hotel includes a total of 84 rooms. Facilities on offer include a hotel safe, a currency exchange facility, lift access, a cafï¿½, a bar, a restaurant, a nightclub, and conference facilities. Laundry and room services also feature, and a car park is available for those arriving by car. Warm, casual rooms offer high-speed Internet, cable TV and minifridges. Suites add separate living areas. Room service is available 24/7. Drive time from Dubai International Airport is approximately 10 min. More services and facilities include a business centre, 24 hour secured parking, safety deposit boxes, doctor on call, laundry services and a hairdresser.